Disco phenomenon Chic and their legendary leading man Nile Rodgers must be doing something right. In addition to the band’s appearances at both the Subsonic Music Festival in country New South Wales and the Meredith Music Festival, the band was to perform a quartet of headline shows while in the country. As of today, however, that quartet of shows has grown to a quintet of shows, with the addition of a second concert in Melbourne. 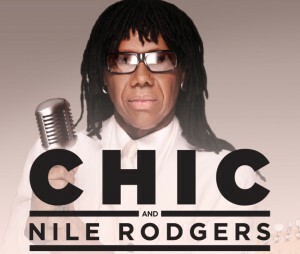 Nile & co will be rocking out with renditions of some of the band’s biggest hits including ‘Le Freak’, ‘Good Times’ and ‘Dance Dance Dance’ (among many other Rodgers classics).